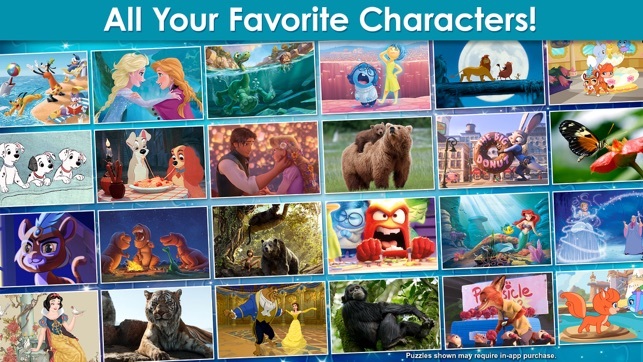 • SOLVE PUZZLES with your favorite Disney and Pixar characters and moments! • COMPLETE puzzles of your favorite animated and live action scenes! 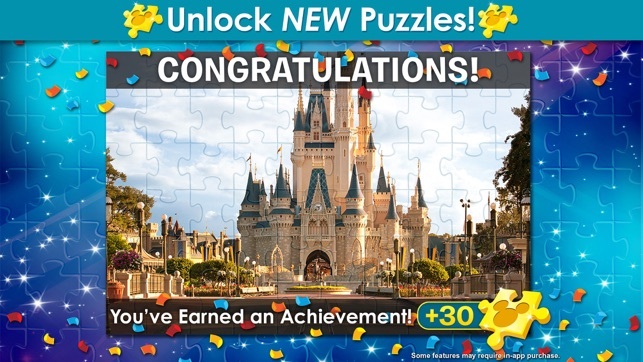 • UNLOCK up to 50 free puzzles as you play through your favorites! If you’re experiencing difficulties with audio, please check the audio settings with your device to see if your device is muted. Don’t hesitate to contact customer care at http://help.disney.com/Apps/Disney-Jigsaw. 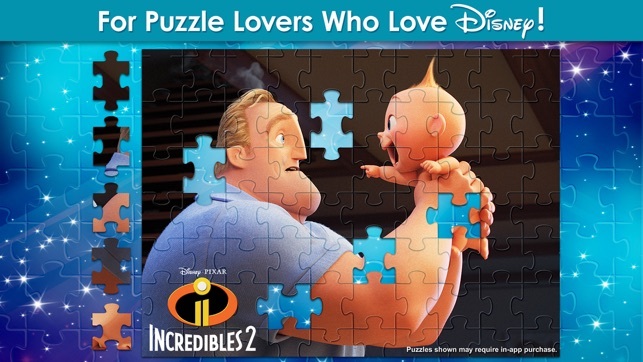 Now featuring puzzles from Disney-Pixar's Toy Story 3!! None of the developers have children. There is no way you make an app that makes it hard for even the parents to find the puzzles they just bought. Actually I just bought a 45 puzzle piece for my daughters trip to Disney of all places and the puzzles are nowhere to be found. But, what is easy to find is the adds to buy the other puzzles. Seriously, simply make an extra tap that says my puzzles where all the puzzles you own are located. Use all your other taps to shove merchandise in our faces, but atleast be respectful of your clients and let us use what we actually paid for. If the developers of this app had children they would have known better. It would just work like it suppose to. Kids open app, add shows up, my puzzles tap shows, kid knows where his puzzles are, kid do puzzle, everybody happy. Parent buys more puzzles. You make more money the right way. How hard can this be. This is a terrible app. I love jigsaw puzzles. I love Disney. I mostly like this app. There were three days where I would try to do puzzles but after about fifteen seconds the app would crash and I would be kicked out. I bought a puzzle pack and only three of the fifteen puzzles downloaded. There is no clear explanation for retrieving saved games. 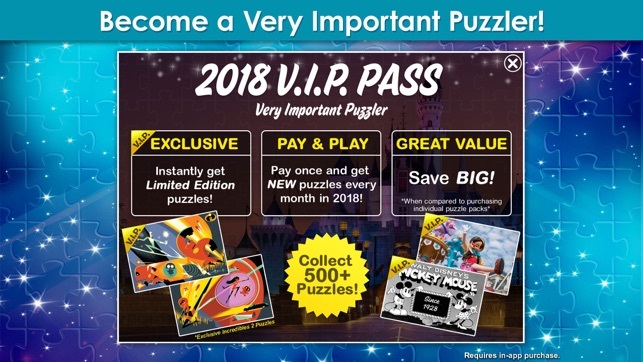 I do enjoy the puzzles but there are bugs that if they only affected free puzzles would be annoying but when they affect purchased puzzles it is an outright ripoff! I paid for puzzles that didn't download. I had three days where I couldn't work a puzzle over 8 pieces so I couldn't complete a prize level, I.e. Work all free puzzles for 30 days. Now I have to start over. I lost 60 points toward a prize puzzle because of this. I am not happy. The previous issues were fixed except that the app has started crashing again. I can only play 6, 8, and 16 piece puzzles. I can like more of a challenge than 16 pieces. I love this app, it has crashed like 1 or 2 times (but I have an iPhone so that happens a lot so it’s okay); I love the free puzzle of the day (it’s nice b/c it’s literally for the whole day, so it doesn’t take it away when you close the app). I used to play this other puzzle app with $0.99 for a huge pack of puzzles but I like this Disney one better b/c the music is more upbeat and fun and I LOVE the Disney puzzles. I wish there were more Disney puzzles (like more TV shows & more movies), and you know what would be BEYOND cool?!? 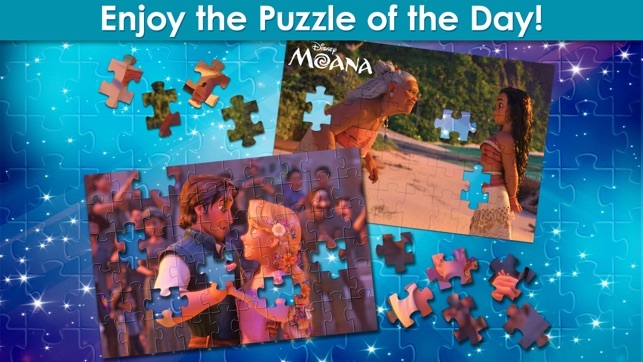 Is if while you are playing the Disney puzzle the actual music from that show/movie was playing. It’s nice I can play & still earn points with or without internet.